In an easy-to-grasp, holistic manner Mastering Audio: The Art and the Science, Third Edition unravels the technical mysteries that regularly challenge audio engineers. Including practical tips and real world experiences, Bob Katz explains the technical detail of the subject in his informative and humorous style. Completely reorganized to focus on workflow, this third edition details mastering by providing a step-by-step approach to the process. First covering practical techniques and basic theory, this industry classicalso addresses advanced theory and practice. The book’s new approach is especially suitable to accompany a one- or two-term course in audio and mastering. 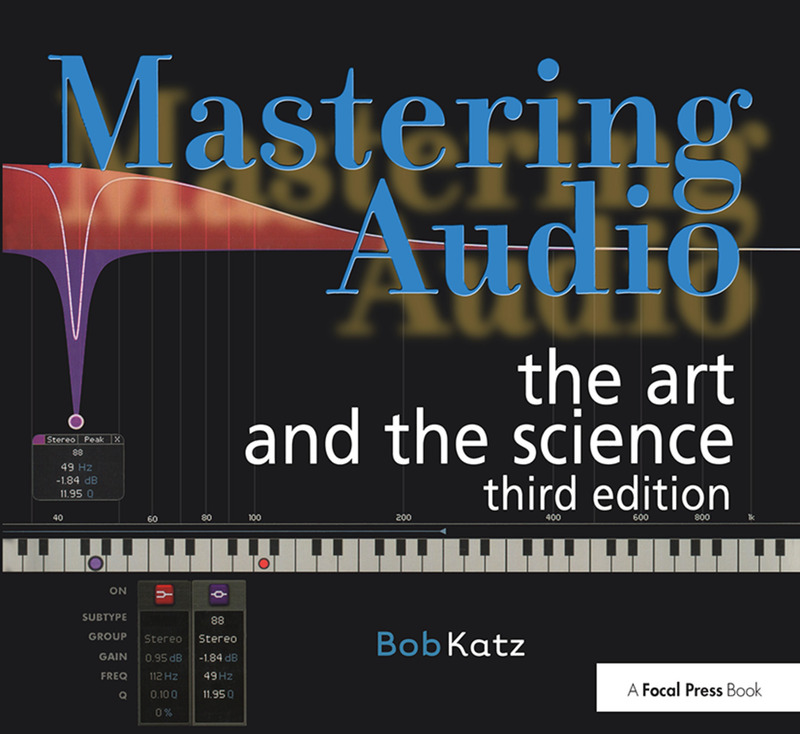 "Within the pages of the outstanding third edition of his book Mastering Audio: Tile Art and the Science, Katz not only demystifies the subject of mastering in a logical, well-organized way, but he has created a resource that will be equally of interest to pros and beginners … [The book] examines topics that are important in every stage of the recording process, such as properly dealing with dynamics and monitoring, or understanding dither and jitter. Katz also delves into mixing and effects processing from the standpoint of the mastering engineer and the types of problems he or she typically encounters. Consequently, Mastering Audio should be mandatory reading for anyone making music in a personal studio." "An important reference book needed during these times of fast-changing audio resolution standards and delivery methods, Katz offers an easy-to understand approach to the many technical conundrums and mysteries that challenge even the seasoned professional audio engineer." "The definitive work on mastering…an indispensable resource for anyone working with audio. If you only buy one book on audio, this has to be it - it should be required reading for anyone involved with recording, producing or mastering music." "I just received my book in the mail. Bob, you did a great job with the 2nd edition. This version does not read as clinical as the first edition making it an easier read. I really like the layout and updated info you put in the book." "Aimed at intermediate to advanced users, what sets this book apart is the liberal inclusion of practical tips, and the author's ability to be authoritative without being didactic. Even if you already do mastering, this book will help you do it better." "I have no reservations when I recommend that every engineer working with audio purchase a copy of Mastering Audio." "If you want to know what goes on behind the scenes in recording the music you enjoy; and learn more about digital audio, this comprehensive, insightful, and accessible book is without peer." Bob Katz played the B flat clarinet from the age of 10, and his lifelong love of sound and music led him to become a professional recording, mixing and mastering engineer, beginning in 1971. Receiving many nominations, three of Bob’s recordings have garnered the prestigious Grammy™ award, and his work has been praised in publications such as Stereo Review, Audio, and Stereophile. Bob has written numerous articles and reviews for audio and computer publications as well as the digido.com website. Katz’s processors and support gear, including patented inventions K-Stereo and K-Surround, are in use at mastering studios worldwide and fill a missing link in mastering and post-production. Bob’s entertaining seminars and workshops around the world grew from his unique ability to simplify complex topics. He runs Digital Domain Studios north of Orlando, Florida, mastering all styles of music for major and independent labels.